The Golden Circle is a staple activity to add to your travel itinerary here in Iceland. It features some of the most iconic sites plastered all over those postcards you´ll be purchasing for your family members. Its most famed sites include the Geysir spring area where water erupts from the Earth, the historic Þingvellir National Park and the immensely powerful Gullfoss waterfall. WHAT LIES AHEAD – ADVENTURE! 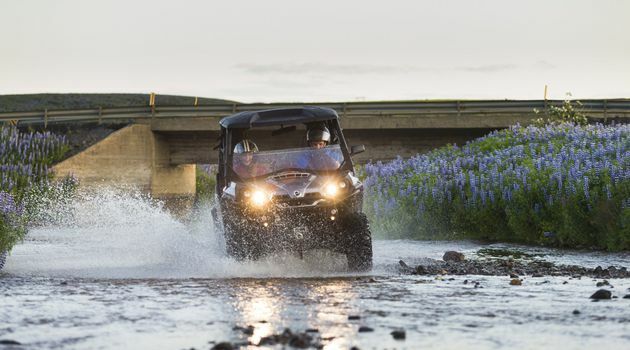 We want to add more adventure and action to your experience by combining our Buggy Safari tour with the Golden Circle tour all while preserving the state of your wallet. Your full day tour will begin with our guide picking you up at the front step of your accommodation in Reykjavik. Our personable and occasionally funny Safari Quad Guide will take you to our base camp located only 15 minutes away from the city center. At basecamp, a safety briefing and instructional short course will be given on how to operate the buggies safely. Then we´re off! 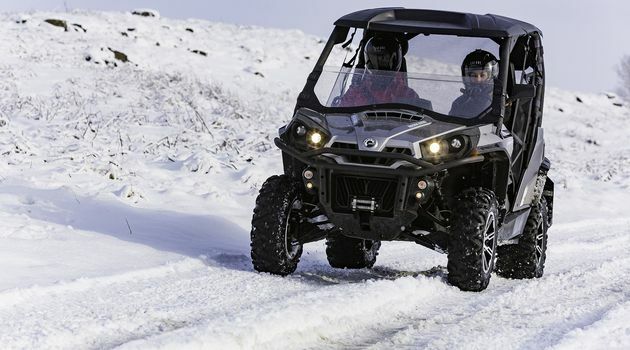 The buggy’s versatility allows you to tear through the off-road trails that lead to the mountain top of Hafrefell giving way to an impressive panoramic view overlooking the buzzing little city of Reykjavik. From our buggy base camp, we hit the trail and head for the mountains. 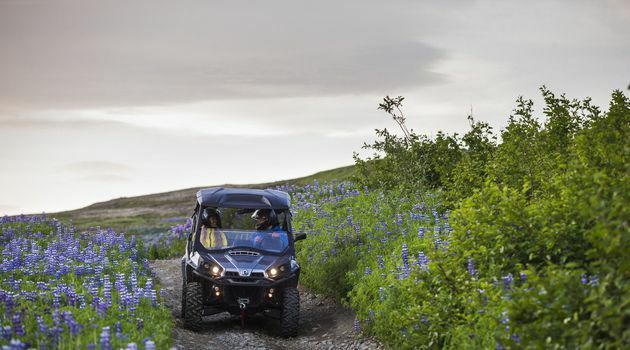 You’ll get the buzz of testing your buggy over different terrains, with an ever-changing landscape. Then it’s onward and upwards, as you push for the top of Hafrafell mountain. Sit back and take in the view – you’ve earned it! *We recommend customers to be two in a buggy, since you sit side by side. More fun! The Golden Circle is all highlights – featuring three of the most important and well-loved sites in Icelandic nature and history: Gullfoss, Geysir and Thingvellir national park. 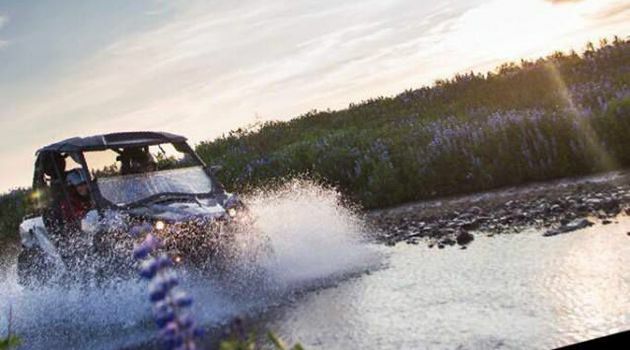 After your quad biking action, you can relax on this coach tour like no other. Gullfoss – The Awesome Power of Icelandic NatureGullfoss is a waterfall – but not just any waterfall. It’s an awesome reminder of the power of nature, as the river Hvíta thunders through a rocky canyon throwing up an endless spray. The noise alone is something to behold. Believe us, you need to experience Gullfoss. 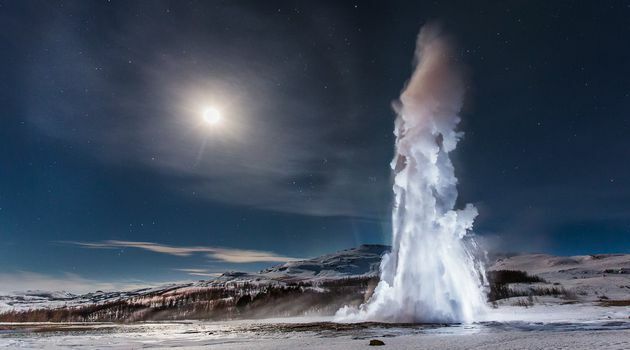 Geysir ­­– Otherworldly IcelandGeysir makes you pinch yourself – what planet are we on again? The bubbling mud pools, steaming, sulfurous smells, and exploding water towers make you feel like you’ve taken a space ship instead of coach. And you won’t have to wait long to experience the awe of seeing the Strokkur geyser shoot boiling water high into the air – it happens every 8-10 minutes. So have your camera ready! Thingvellir National Park – The Most Important Site in Iceland Site of the world’s first parliament (over 1000 years ago), meeting place of two tectonic plates, an area of natural beauty. Thingvellir has about as much historical and geological significance as you can get. If you are in Iceland, you have to visit Thingvellir.